With the evenings becoming lighter and the frosty mornings becoming warmer, it’s clear spring is on the way, especially as save the dates for summer weddings start to flood in. Here at The Liberty Shopping Centre we are so ready to start preparing for bridal season! As a wedding guest, there are so many outfit options out there that putting together the perfect look can be difficult – do you opt for traditional? Floral? High heels? (We know they can be a killer after a long day of dancing). Worry not! 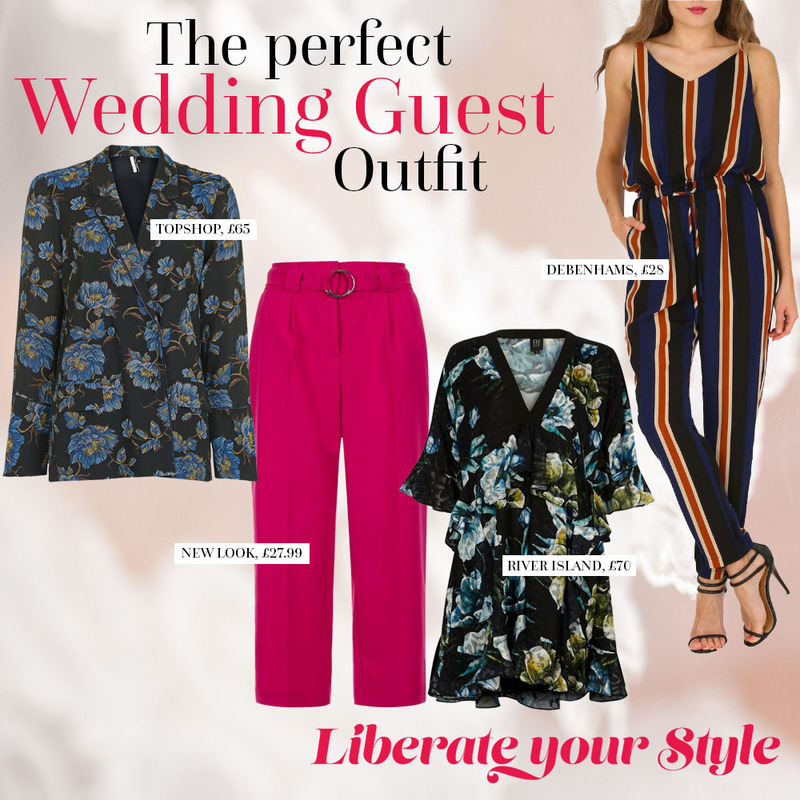 The Liberty’s 100+ stores have you covered – from fabulous frills and florals, pretty pyjama-inspired outerwear and statement sleeves – we’ll get you wedding ready and looking flawless from the church right through to the first dance! Let’s be honest getting out of bed, even for a wedding, can be a struggle – so why not bring a piece of your bed-time routine with you? AW16’s pyjama-style trend shows no sign of letting up as we come into SS17 and this Floral Pyjama Jacket from Topshop (£65) is the perfect way to update an all-black cami and midi skirt combo…in the most relaxed and comfortable way possible! Florals are a classic at any wedding and so versatile, making the perfect wedding outfit. This Black RI Studio floral ruffle mini dress from River Island (£70) combines two of the season’s biggest trends – florals and frills. So if you prefer a classic dress for special occasions, this is perfect for you. Jumpsuits make the perfect one-stop wedding outfit; just add heels and a jacket for a stylish look that will be the envy of all the other guests. This Mela Black multi striped jumpsuit from Debenhams (£28) lets you go effortlessly and stylishly from day to night. Very much the colour of the season, pink is everywhere! From powder to fluro pink there is a shade for everyone and we cannot get enough of these Bright Pink Hoop Belt Wide Leg Trousers from New Look (£27.99). The perfect pop of colour, team with a white Bardot top and metallic heels for a beautifully bright outfit you’ll love!. The Liberty Top Tip: Culottes and wide legged trousers are perfect for any occasion, especially weddings, creating a chic and sophisticated look. But, if bright pink isn’t for you, introduce this staple into your wardrobe in darker tones you’re more comfortable with.